Sweater care and cleaning at home is easier with the right products. 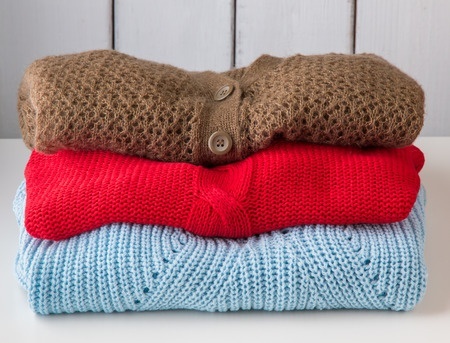 It's easy to clean sweaters at home, and to keep them looking like new and feeling soft in the process. The key is using a gentle laundry detergent, protecting sweaters from abrasion during the wash cycle, and laying sweaters flat to dry safely. And should the inevitable pilling eventually occur, you can remove the dreaded balls from your sweater with a hand-held lint shaver or sweater pill remover. The sweater care and cleaning products below can help you keep your sweaters looking good for years to come. Get tips for safely machine washing sweaters here.